and The Pretty Blog (amongst others). Not bad for the first year of business. At the same time Joelene was juggling a busy and intense day job, but her determination never let up and today she steps into a bold new world! It the relaunch of Oh Happy Day and officially Joelene's first day of freedom from the corporate world! Exciting indeed. Working with Joelene this year has been an absolute honour. We have both worked very hard to make the rebrand and launch of her site as perfect as possible, with the aim of reflecting all Joelene stands for. With the assistance of several highly talented, local creatives - the new look is here! Hooray! 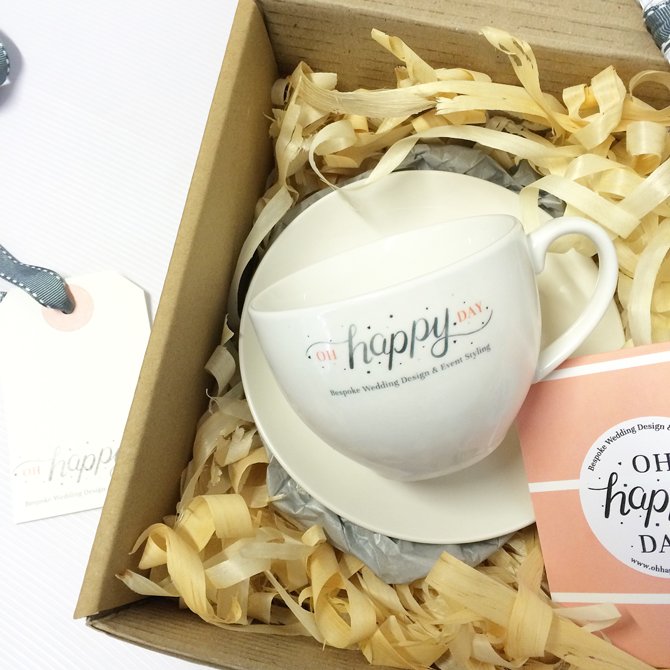 I very happily and proudly welcome you to - Oh Happy Day... take a look. Joelene is hosting an exclusive giveaway for engaged couples to celebrate which will launch on her blog later today. In the meantime here is a sneak preview of the media packs we worked on with Peg & Pencil. 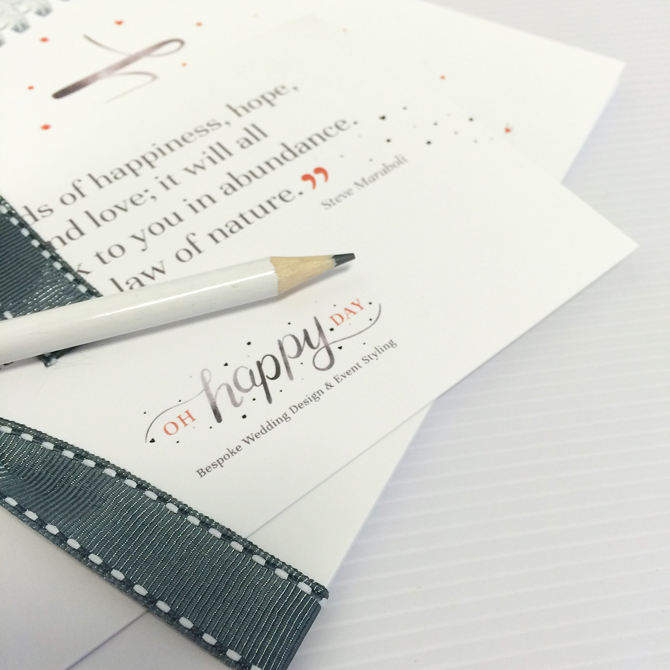 The site was setup by Nicola Tweed and the new look branding was lovingly penned by Fathima of Happiness Is. I worked with Joelene on the process and guided her through creating the best brand and business possible and I loved the challenge!